There are so many reasons why growing your own herbs (fruits & veggies, plants) is good for you: it’s healthy and tasty, it’s environment-friendly and you can see your own plants grow, which brings you closer to nature. But we all have busy lives and enjoying some fresh basil and thyme in your dinner or salad, takes a little bit of TLC (time, love & care). That we sometimes prefer to spend on plants, our loved ones, on life! 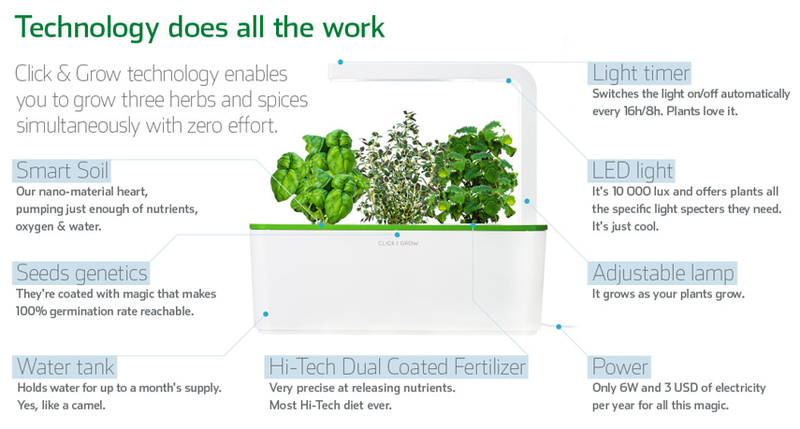 And that’s exactly where the Click & Grow smart herb garden comes along: it helps you grow fresh herbs with zero effort. 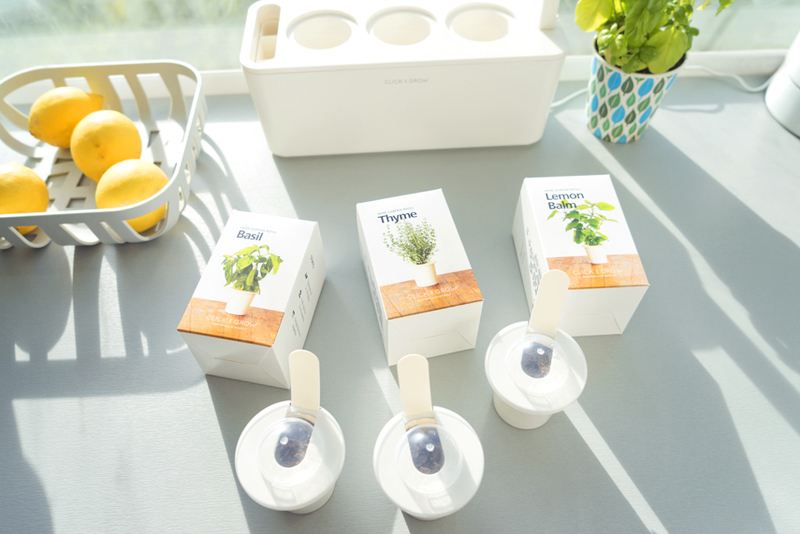 You simply open the box, take out the herb garden, install the cartridges, connect the power cord and fill the tank with water… and in 2-4 months you’ll have 3 full plants! 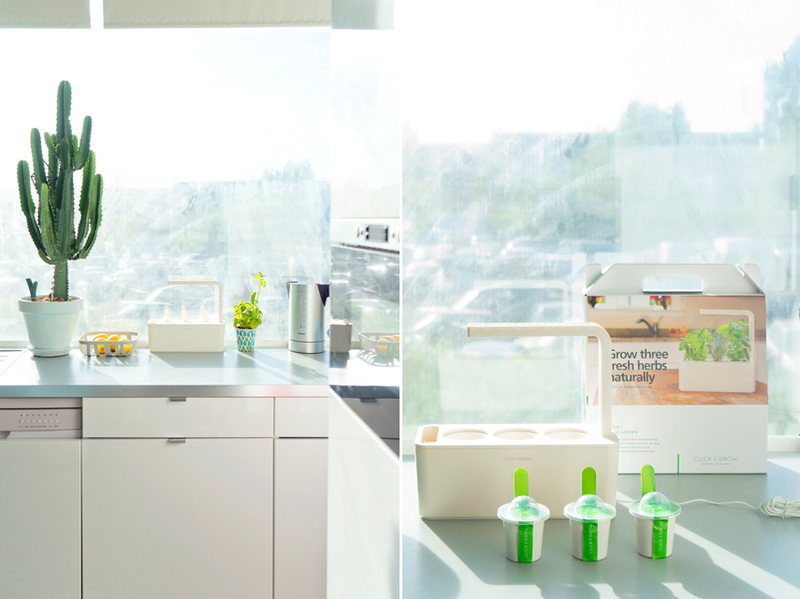 Click & Grow uses innovative NASA-inspired technology that helps the herbs grow a little faster but still 100% naturally. No GMOs, pesticides, fungicides, insecticides, plant hormones, or any other suspicious substance, just nature! 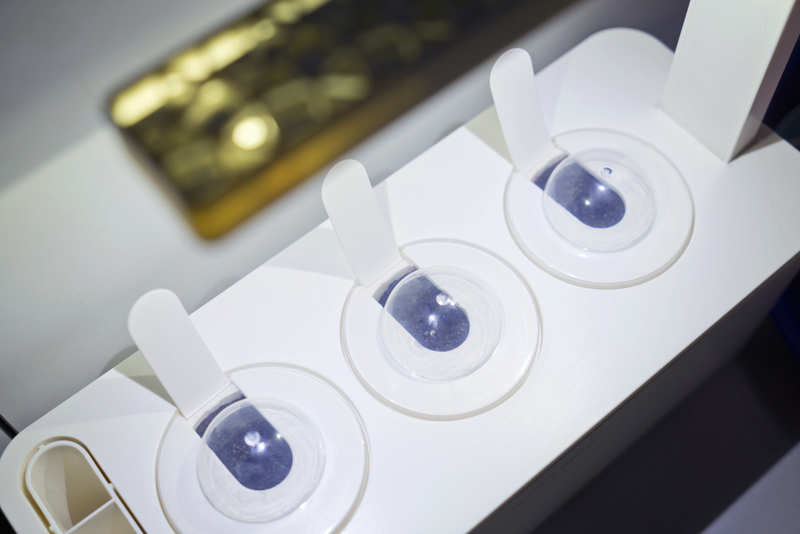 The specially developed “smart soil” balances oxygen, water and nutritional ingredients at an optimal level. It’s all nature at its purest. 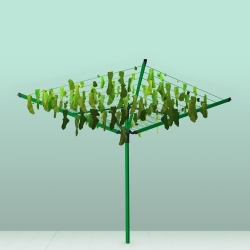 Once you have plugged in and added water to your herb garden, it’s time to wait and do something else. Enjoy life and check back on your herbs whenever you like. 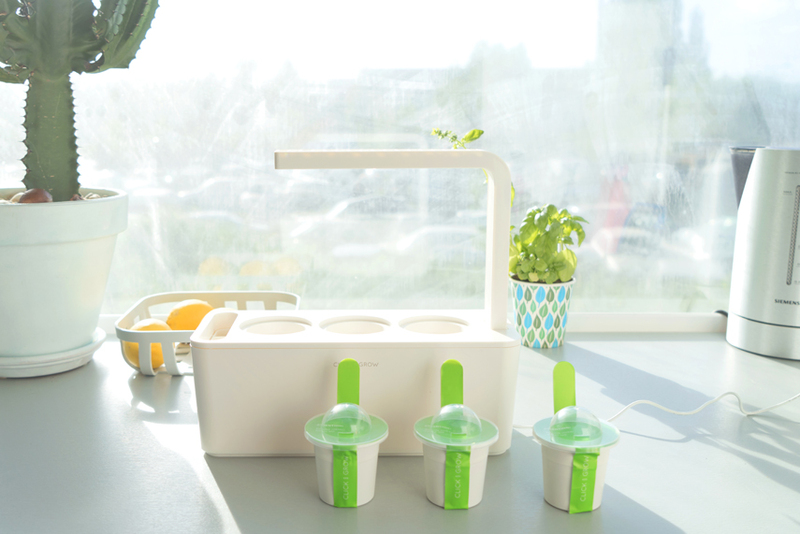 In a few days or weeks, you’ll see the first sprouts… And the best thing is, you don’t even have to water your herbs, the container takes care of giving the right amount of water to your plants for at least a month! No more over-watered basil plants or dried out thyme! We really like the clean design (with the geometric pattern on top!) 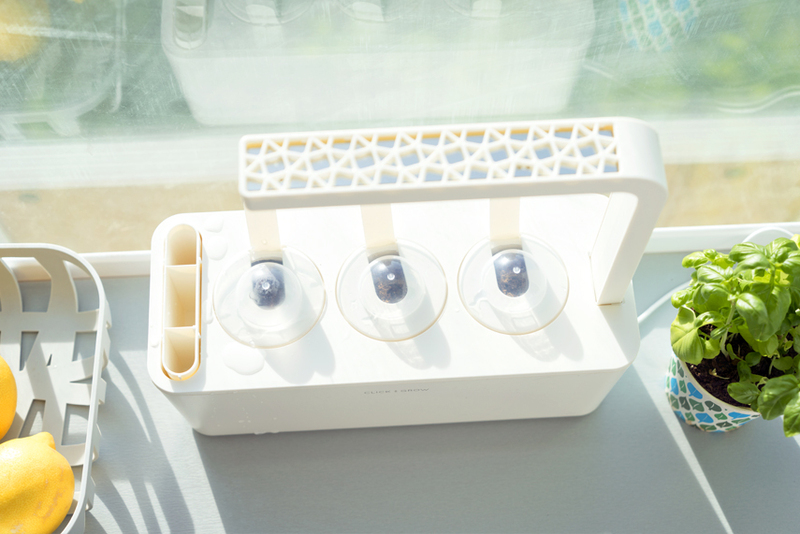 and the low-energy function of growing our own herbs with this Click & Grow Smart Herb Garden. Now we cannot wait to taste our first Caprese salad with our home-grown basil! 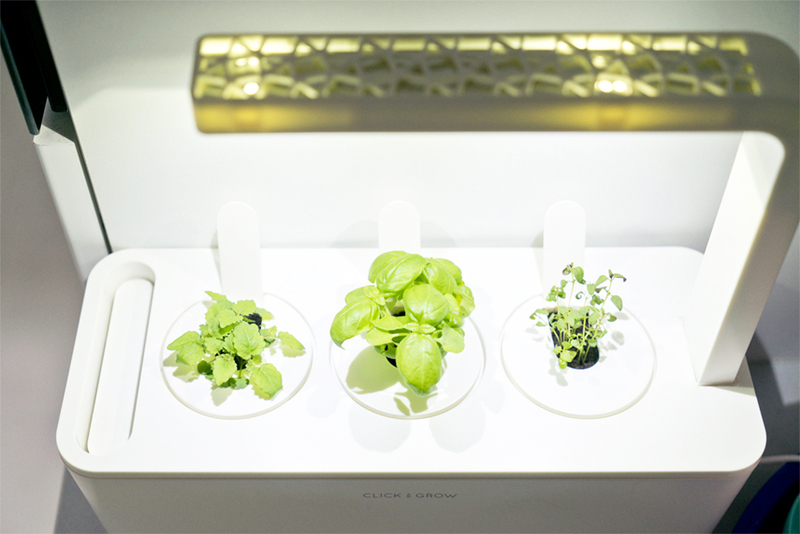 Do you want to treat yourself (or someone else) to a Click & Grow smart herb garden? 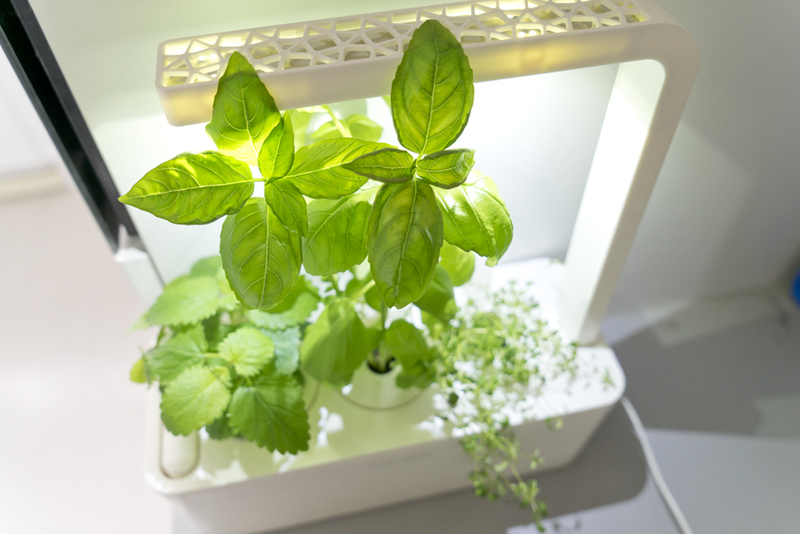 We have a special discount code for you: enter JUNGLE25 when you order your smart herb garden and get 25% off! And this is what the lemon balm, basil and thyme look like after 4 weeks. Time to harvest: yummm! 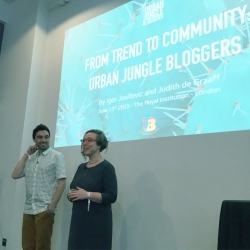 Founded in 2013 by Igor Josifovic (Happy Interior Blog) and Judith de Graaff (JOELIX.com) with the idea of bringing more green into homes and blogs.